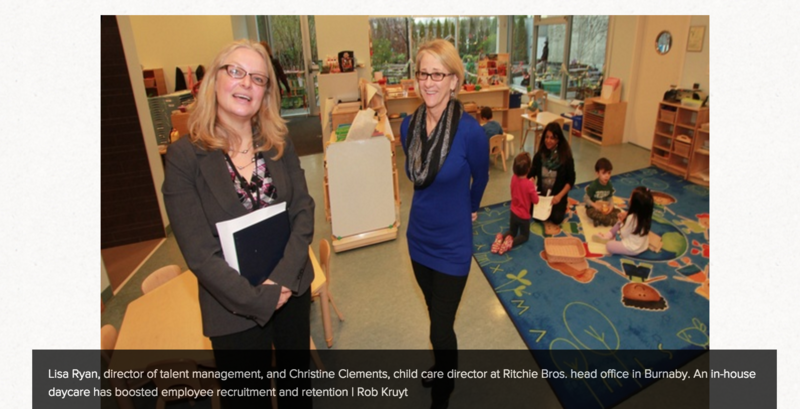 It was a delight to see Ritchie Bros. Auctioneers (RBA) profiled on the front of the Business In Vancouver website today regarding the workplace child care they developed for their employees back in 2009. The article “Women at work: the B.C.. companies leading the way on gender equality” discusses the advantages of female leadership at the highest level, talent development and family friendly practices. Quite simply — it gives countless examples of progressive ways that employers are doing what’s right in the workplace — for their female employees as well as for their male employees too. Beyond the positive mentions of RBA, several other organizations are also listed for their progressive approaches — including HSBC and VanCity. As I write this post I find myself truly smiling — you see — over the years I have consulted with all three of these organizations — RBA, HSBC and VanCity — on issues related to child care, work-life and the development of family friendly policies and practices. Plus countless other organizations too. And it has been an incredibly rewarding and fascinating experience to do the kind of work that we have done together. In each case not only were we designing, building or creating something that was both unique and different; but we were doing so because it mattered. Because it was the right thing to do – from both a human and a business perspective. I’m proud to say that VanCity were my very first client when I began consulting more than 20 years ago on — what we then called — work and family issues. I was honoured to work with them in their very first days of exploring and acting on child care issues for their employees. From supporting and helping to create new community based child care spaces to work-life supports to employee wellbeing — you name it and we tried it. They were very much the leader in Vancouver — and in Canada for implementing progressive family friendly solutions and creating a supportive work environment for working mothers. For close to 12 years years we collaborated together to make a difference — not only for VanCity employees but for their members too. That good leadership starts with doing what you believe to be right. Why knowing what you stand for is about so much more than the values you put in a policy statement. Without question I am a better female business owner, entrepreneur and community member because of the work I did with VanCity. It’s fair to say that they taught me how to generously collaborate and to work from a place of heart with my client’s best and truest interests at the centre. They also taught me that it’s more than okay for babies to be on boardroom agendas and to even visit them sometimes too. Years later — and thanks to VanCity — I began consulting with HSBC to secure emergency child care spaces in the Vancouver area for their employees. HSBC were not only committed to collaboration with other financial institutions, they were also interested in making sure that their employees had access to quality back up child care spaces. And they cared about the organizations they chose to collaborate with. Countless interactions with employees at HSBC continuously demonstrated to me that commitment to doing good work in the area of gender equality is about so much more than words — it’s about leadership. Many of the female employees that I collaborated with at HSBC not only inspired me but encouraged me too. It was very much a reciprocal relationship. It’s always good to like the people you are doing good work with. As a female business owner — it’s good to come across other female leaders who are both admirable and genuine. They can teach you a lot. I found those leaders at HSBC. This is me with two small RBA friends (and short hair) just after RB Kids opened. From the very first conversation I had about developing a child care program at Ritchie Bros. Auctioneers, I knew something special was going to happen. That conversation was the beginning of an amazing journey that resulted in the design, development and eventual operation of an exceptional early learning and child care program for RBA employees. 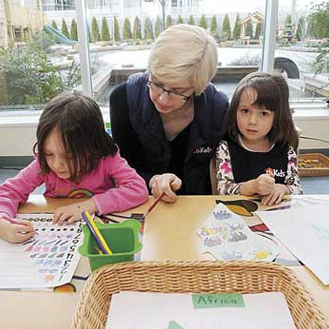 The facility opened in 2009 and since then it has served as one of the best examples of high quality workplace child care in Canada. My experience with RBA was one of the most rewarding and interesting consulting projects I have had the opportunity to work on in recent years. 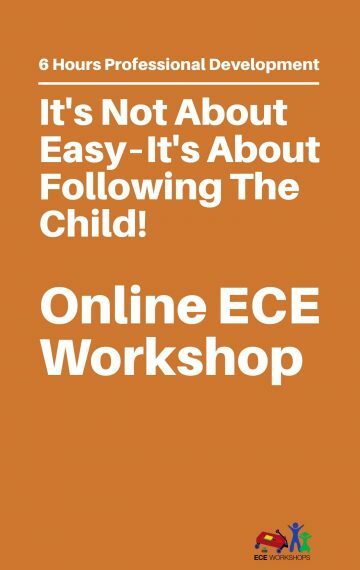 Not only because it was truly unique work — but because I was given the opportunity to lead the design, development and initial operations of a mixed philosophy child care program (learn more here) that put the respect of children and families first. And I got to do it with an incredible team of educators — including Christine Clements — who is one of the most talented and committed early childhood educators I have ever worked with. Suffice to say close to 8 years went by in the blink of an eye — because that’s what happens when you focus on building something that is exceptional! I took a lot of away from my consulting work with RBA. A ton of lessons in education and leadership. And in why child care is neither a male nor a female issue. Rather it’s a collective societal issue that we can all — business, government, community, educators, families and children — be part of making a difference in. Doing what’s right matters. A lot. You see, over the years, there were more moments than I can reference where I collaborated with employees at Ritchie Bros. Auctioneers to ensure that we did what was right. Right for the company, for the quality of the workplace child care, for RBA employees, and for the children and families the program served. It was not only heart warming but enlightening to be part of. And doing what’s right made a difference. Over and over. So yes – I’m still smiling as I finish writing this post. It’s a good feeling as a consultant to know that the work you do makes a difference. I am fortunate that I continue to have the opportunity to consult with many different organizations related to early learning, workplace child care and education. 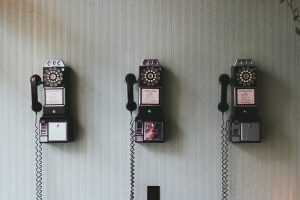 In every case, they want to make a difference in ways that are quite similar to the companies I have written about in this post. Ritchie Bros. Auctioneers, HSBC and VanCity are amazing organizations that continue to be committed to doing good for their employees — in truly unique ways. And believe me — that’s not always an easy thing to maintain in the corporate world — especially when there are changes leadership and evolutions in corporate culture. Yet, somehow they are each continuing to do what’s right — because they see the value it brings their organizations and understand that doing so truly does make a difference. 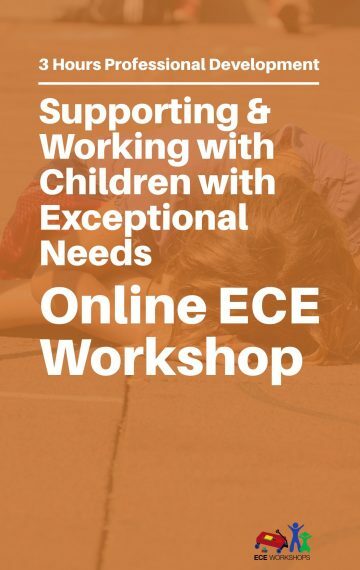 If you would like to explore ways to develop customized child care solutions, family friendly practices or unique workplace supports related to work-life and employee wellbeing please contact me at jane@45conversations.com or 604-343-7245. Let’s have a conversation about how I can help your organization develop a customized solution that will make a true difference too. After all, I’m always interested in building relationships and collaborations that are about doing what’s right. Because — believe me — it matters.